Having a dual income household can certainly put you at a financial advantage. If you live on a budget and manage finances with your partner, it’s hard to force yourself to start living on one income, especially if you don’t have to out of necessity. It’s much easier to sink into lifestyle inflation once you realize that there’s an extra income to consider. However, when you really think it through, it makes sense to avoid the temptation to spend more. 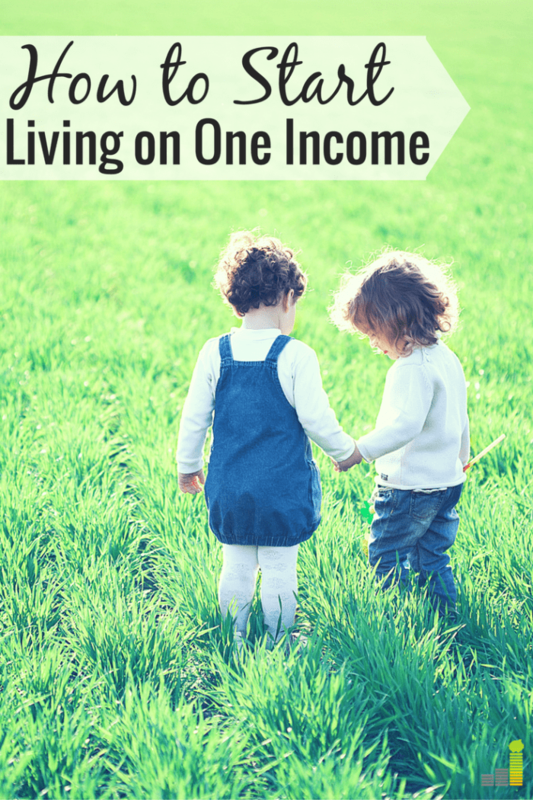 When you choose to live on only one income instead of two, it often opens up more possibilities for your money. When I first met my husband we were in college and very low earners of course. When we got married however, we both had full-time jobs and decided to live off one income for a few months in an attempt to pay off more debt. We ended up paying off $4,000+ of debt during the first three months of marriage as a result and we topped off our emergency fund as well. I also can’t stress the added financial stability aspect enough either. My husband did get laid off for a short period of time when we were engaged. Whether you have a traditional employer or work for yourself, your income is not guaranteed so if you commit to living comfortably on one income, you’ll have much more peace of mind. Not everyone can pull off living on one income, which is understandable, but if you’re interested in giving it a try, here are a few things you need to do first. If you’re eager to start living on one income in order to improve your finances, you need to make sure you’re on the same page with your spouse or partner first. Sit down together and talk about why you want to live on one income and how long you want your new lifestyle to last. Going from a two income household to a one income household is definitely a lifestyle change and it helps to know exactly what you want to get out of it. For my family, the decision was all about getting out of debt quicker but you may have other reasons. Are you trying to pay off debt? Do you want to max out both of your retirement accounts? Are you saving up for a down payment on a home? Making sure you have a clear goal in mind and are on the same page is very important. It’s nearly impossible to cut down how much of your household income you actually spend and live comfortable if you don’t make some adjustments to your expenses. When my husband and I were preparing to live on one income, we ran through our budget line by line and marked off expenses we could cut or might be able to do without. If you don’t have a budget now or are overwhelmed by the idea of finding expenses to cut, a free online tool like Personal Capital can help you track your expenses and make it easier to decide which ones to cut. I stopped all my hair appointments, he stopped ordering lunch at work, and we found free and cheap extracurricular activities for our son. 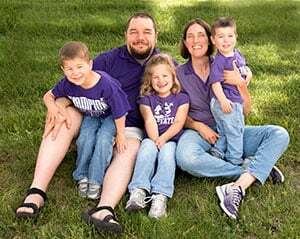 My big goal is to enroll our son into private school one day but it’s not an immediate need right now and as long as we have debt and a tight budget, we’re probably going to put it off until he gets a little older. For now, he loves his school and his friends and we love it too because public school is so cheap and his school even offers free hot lunch to all the students. In terms of keeping our expenses low, my husband and I practically cut everything that wasn’t a necessity and decided to share our entertainment budgets which were previously separate but we figured we pretty much hang out and eat together all the time anyway so it wouldn’t be a big deal. You and your partner probably don’t earn the same amount of money especially if you work in different fields. Therefore, you’ll have to decide together whose income you will live on and whose income you’ll use to work toward your financial goals. For this decision, it all comes down to how many expenses you can cut from your budget. If one of you earns ⅓ more than the other and you weren’t able to cut your expenses by much, you might want to live on the larger income and save the smaller one. If one of you earns extra money through a side hustle, you’ll need to factor in how you want to use that as well. The choice is up to you, but make sure you both agree on it and where the extra income will go each month. Since we were focused on debt repayment and savings, all we had to do was make sure the extra income got applied to our debt and we set up automatic transfers to a high-yield savings account on payday. You can do the same through Barclays and make 2.20 percent on your cash, which is better than nothing. If you’re still on the fence about transitioning from living on two incomes to living on one income, my advice would be to try it out for 30 days. If you do a 30-day trial run and it doesn’t go well, you can always go back to doing things the old way. 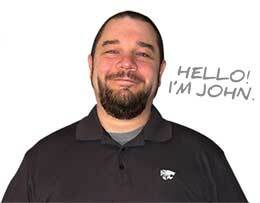 However, you might enjoy the benefits of living on less and having more control over your money. Our situations are constantly changing, so it may not always be possible to live on one income for a long period of time, but the results for us were remarkable after just the first three months. 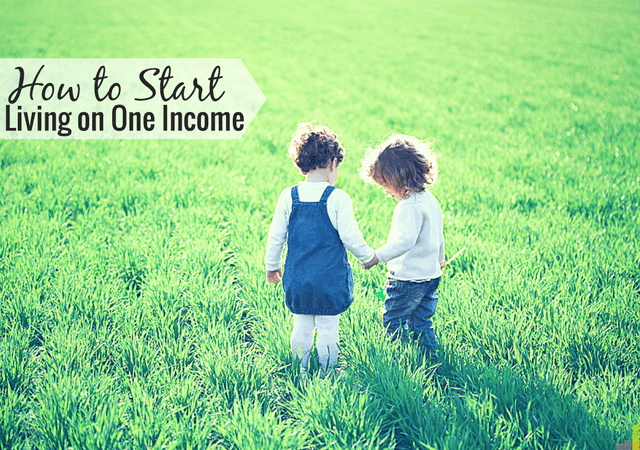 Have you ever tried living on one income before? What were some of the expenses you cut or lifestyle changes you made to make it work? Several years back, we were living on a single income for about ~3 years and we learned to live within our means. However, both my wife and I work now. We could live in a single person’s income if we chose to though. That’s awesome that you were able to keep it up for so long. I’m sure it’s nice to know that you can live on less. I think there are many couples who would LOVE to live on one income but just haven’t figured out how to make it work. I think the ability to earn a little extra through a side hustle could really open up possibilities for couples that otherwise couldn’t make it work. I know someone who said they just need an extra $100-$300 a month to make it work. It’s possible! An extra $100-300 is not that bad and can be earned easily through a side hustle. I think it takes a combination of cutting your expenses and possibly earning more to make it work long term. When I quit my job a month ago I thought its not possible to live off my husband’s income but then after making some tweaks on the monthly budget I learned that there is even enough money for savings and investment and that we were spending more than we should have spent when both of us are still working. Thus, I enjoy being a stay at home mom now and making ends meet on a proper manner. That’s great you and your husband were able to figure out a way to make it work. This is quite an interesting post. I guess, it’s more of cutting expense and living within your means? Since choosing to go from 2 income to 1 income now will mean you are prepared and know what to do in the event one of you loses your jobs. Quite a unique and interesting challenge to try out I must say. Glad you liked the post! It really does ultimately come down to living within your means and keeping expenses low. It’s always best to spend way less than you earn if you can, because you never know what the future will hold.